You already know that you should have a mix of annuals and perennials in your garden, but which annuals and perennials should you start with? If you’re new to gardening then you want to buy annuals and perennials that are almost foolproof to grow so that you don’t have to spend a lot of money replacing plants if they die. There are a dizzying number of both types of plants to choose from so where should you start? Start with any or all of these five kinds of perennials if you want plants that are hardy and easy for anyone, even a beginner, to take care of. The name coral-bells once described the color as well as the shape of the blossoms of this grateful perennial, but today the flowers from pure white to fiery red. 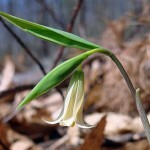 They flower most profusely in full sun, but will tolerate light shade, especially in hot areas. Because they have shallow roots, coral-beds require moist, well-drained soil that has been liberally enriched with organic materials such as compost, peat moss or leaf mold. It thrives best in zones 4-9 on the climate zone chart. This perennial is easy to take care of and the pretty dark burgundy color makes a nice addition to the greenery of a garden. This plant does the best in zones 5-8 but can grow just about anywhere. 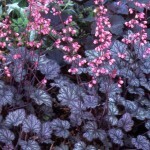 You can grow it in the sun or in the shade, so it makes a great filler plant when you need a bare spot filled in. 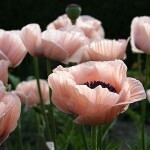 If you grow it in shady conditions it will be a very dark green and it can grow as tall as 4 feet, so plan accordingly. If you grow it in sunnier conditions it will be a light green and might only grow to a height of two feet. In the fall it begins to turn a dark bronze color and will fade to a yellow through the winter. It lasts through all four seasons. This dramatic plant can grow to huge heights and it has a great texture so if you want a tall plant for the back of a border or to finish an arrangement this one works great. Originally, the plant came from China and Japan but it’s a staple perennial in US gardens now. It grows best in zones 4-9. They grow in sun or light shade and almost any soil, but best in moist soil that has been well supplemented with peat moss or leaf mold. During the summer this plant will bloom prolifically and produce huge sprays of white flowers that will sweep to the ground. It’s a beautiful plant but it does have a tendency to spread and take over the area that it’s in so you will have to watch it carefully to make sure it doesn’t crowd other plants. Phlox is a great groundcover. It spreads quickly, fills in bare spots beautifully, and it’s almost impossible to kill. 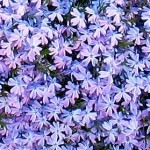 Phlox comes in many colors but the Wild Blue variety is a favorite of most gardeners. It grows well in zones 4-9 and looks breathtaking in huge sweeps. Carolina Garden phloxes grow in full sun or light shade, in a moist soil rich in compost or leaf mold. Canada phlox does best in light shade and moist soil rich in organic matter. 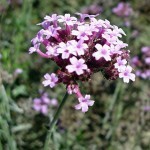 Moss phlox needs full sun and well-drained soil. So if you want a garden that looks great and requires almost no maintenance, plant Phlox. This lush plant grows best in warm climates, like zones 7-10 and can grow up to about four feet in height. It seeds prolifically and has a great delicate color.